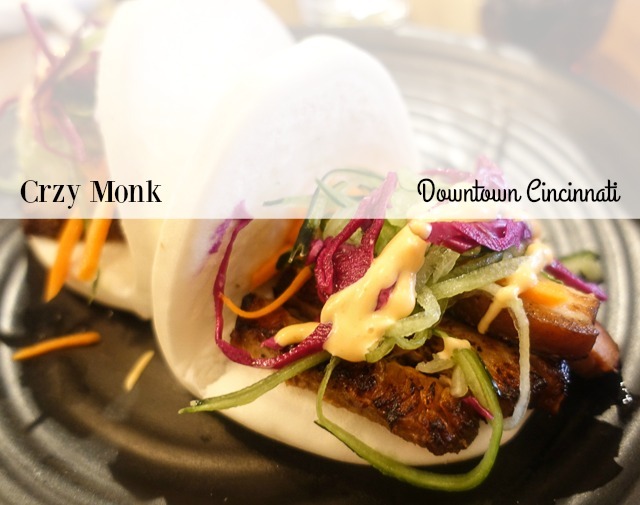 Restaurant Review: Cr*zy Monk - Downtown Cincinnati | The Food Hussy! I haven't done a restaurant review in a while - just been in a rut of eating at the same places I've already been to and cooking a lot more (with my air fryer!!). But we got a new place just a block from my day job and I had to share!!! Cr*zy Monk opened this month and it's part of the Huit Group here in Cincinnati. They have a few restaurants (Lalo, Little Huit) and had some that closed (Huit, Dope Noodles). I definitely think this one will be around for a while because we were all OBSESSED with it!!! Cr*zy Monk is a health-conscious Asian eater and invited me and a couple of coworkers to try them for lunch (for free - thanks guys! It pays to work with the Food Hussy!). Many of the dishes are vegetable-based and vegetarian-friendly. The ones with meat also point toward the health benefits of each protein and ingredient. There's menu items like Cleansing Noodle Soup and Lunch Prayer Detox Salad - so how does that sound?! I have been CRAVING a noodle bowl and they delivered!!! 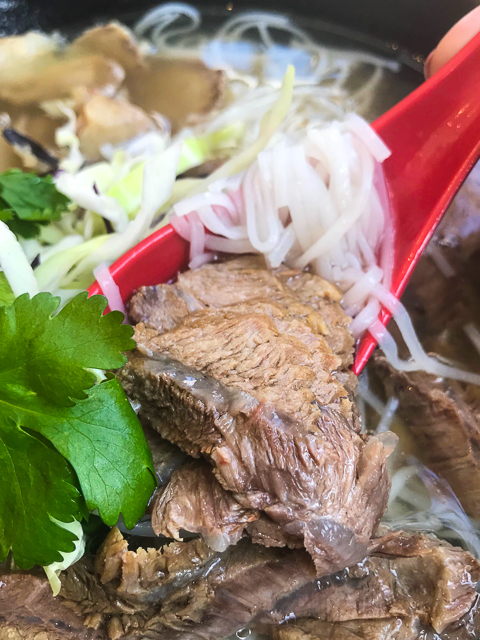 Above is the Monk Prime Beef Noodle Soup ($12) - packed full of Prime Short ribs, beef shanks and rice noodles in a healing beef bone broth and served with herbs, bean sprouts and lime. It was heavenly! The broth was so delicious and warm and soothing. The beef was super tender. It was all just amazing! There were so many dishes we HAD to try!! Pork Belly BiBimBap ($12). SHUT THE FRONT DOOR!! 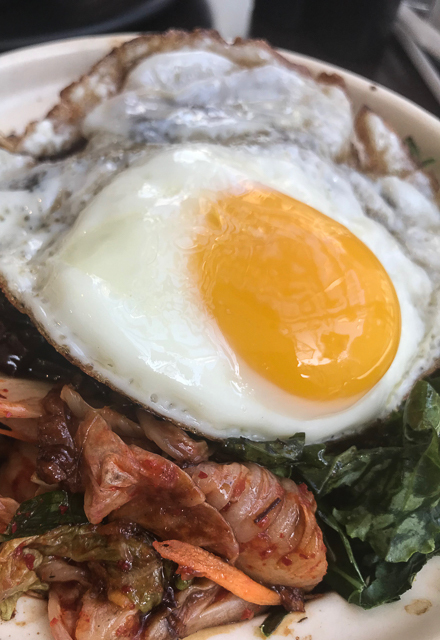 This bowl is amazing with wild rice topped with seared carmelized pork belly, shitake mushrooms, pickled carrots, cucumber, kimchi, bean sprouts, chopped kale and a sunny side up egg. Holy crap - I mean - Bibimbap is like my favorite dish in the world - then just throw some pork belly on top. You must try this - it's perfection in a bowl. This is a dish I CRAVE and it doesn't have cheese - that's saying something. They also have house-made dumplings - so we had to try those too! 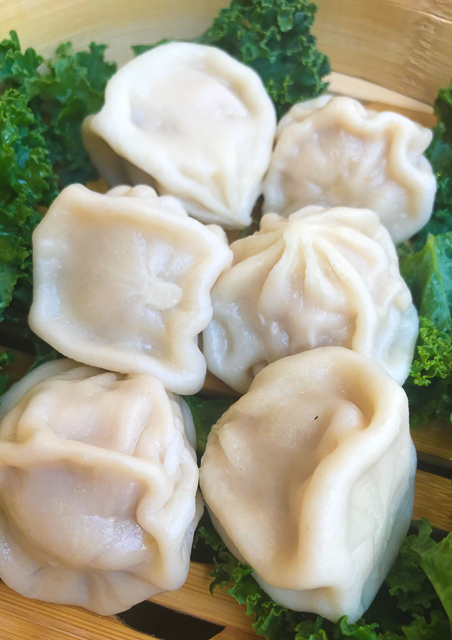 They come in orders of 3 for $7 and you could choose from Chicken, Corn & Spinach -- Pork & Napa -- Shrimp & Zucchini -- Detox of the Day (mushroom, jicama, carrots, tofu, peas). You can also do their Soupy Dumpling which is a little juicier and is filled with kale, zucchini, shitake mushrooms and bean noodles). They also have multiple sauces for your dumplings! Everything was delicious - but I think we all liked the shrimp the best. Everything was so good - we put our money where our mouth was and went back on our own dime a week later. We couldn't help it! I'm saving the best for last...so stay tuned to the other MUST-HAVE! 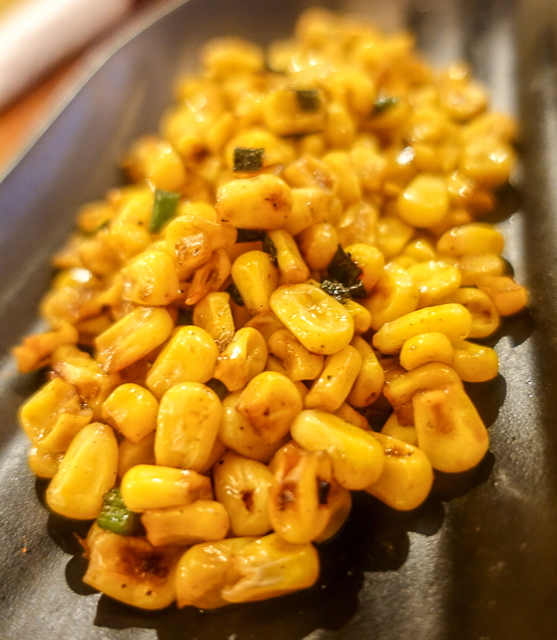 I wanted a side dish as well and tried their Stir-Fried Corn with Green Onions ($4). I'll say it was fine - but it was pretty much - stir fried corn. I should have gotten dumplings again! ;-) But if you like corn - go for it! But the one thing I love SOOOOOO much is the Bao-Wich ($8 for 2). 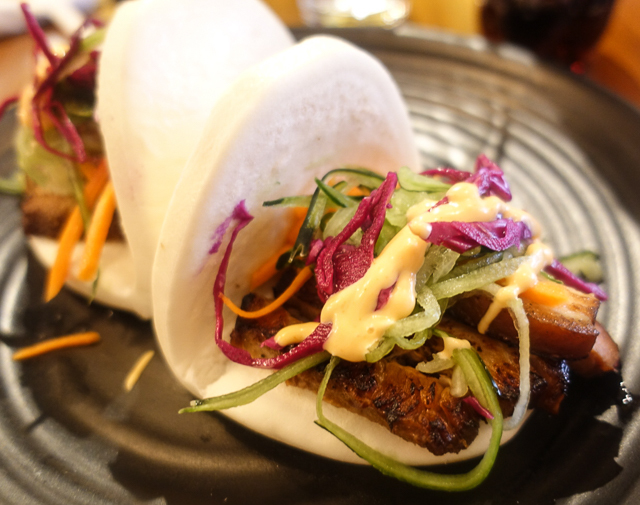 Nearly 6 years ago I went to a little place called Wow Bao in Chicago that served Bao Buns (we tried those too here at Monk - they're great too!) and I loved them (oh the photography was so bad!). I loved the steamed bun texture - it's light and airy - so good! The ones I had there were in a bun shape which were filled. Then on a visit to Plano, TX - I had bao sandwiches - which is the same steamed dough but in a sandwich. 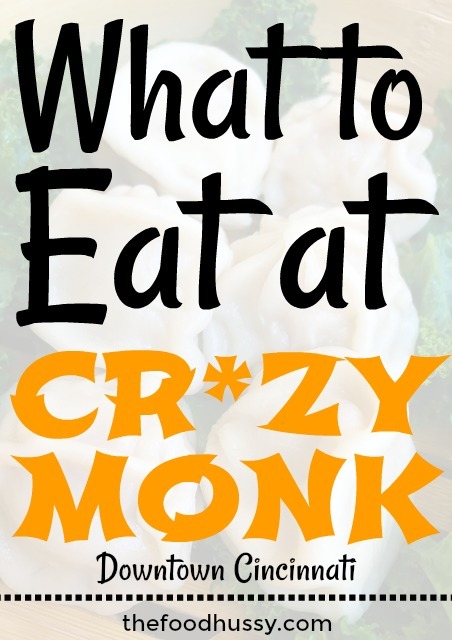 We loved Cr*zy Monk and will be back on a weekly basis most likely! It's only open for lunch Monday thru Saturday near 6th & Main. If you work downtown - go! (Hey - Message me on Instagram or Facebook - I'll meet you there!!!) If you don't - go on a Saturday! It's so good and we want to make sure this one sticks around!! !